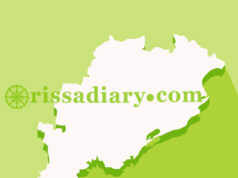 Koraput: World renowned Kalinga Literary Festival (KLF) has reached Koraput. For two days during 7th and 8th of April Koraput will celebrate the spirit of life and lived experiences in the valley. The Kalinga Literary Festival in Koraput will bring leading Odia and local literary legends to one platform where the woods will have a dialogue with the buildings, the indigeneity will engage with the so-called modernity, the written will listen to the folklore and the structure will encounter the spontaneity. Speaking here to the media, Shri Debashis Samantaray, coordinator of KLF in Koraput, spoke highly of the lo-cal culture, festivities and oral traditions in the Koraput Valley. He said Kalinga Literary Festival is keen to sus-tain this platform for an ongoing dialogue between authors, writers, poets and performers of Odisha. 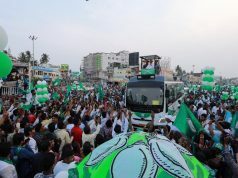 Leading names like Haldhar Nag, Sumani Jhodia, Debiprasanna Pattanaik, Hrushikesh Panda Debadas Chhotaray, Hussain Rabi Gandhi , Achuyt Das, Mahendra Mishra , Jyoti Nanda, Bipin Nayak, Narayan Panda , Surya Mishra , Rakhyak Nayak, Biyot Projna Tripathy , Gourhari Das , Jalandhar Swain ,Jagabandhu Samal ,Laxmikanta Padhi,Alok Kumar Baral ,Sushanta Nayak Chandrakanta Biswal,Dwiti Chandra Sahu, Pritidhara Samal ,Madhuri Panda Kedar Mishra , Debasis Patra, Ranjan Pradhan , Sujit Panda, Debapriya Priyadarshi Chakra,Mahasweta Sahu, Dr Pradip Mishra ,Rudrani Mohanty .Dr Rajendra Padhi ,Bijay Upadhyaya ,Achyut Das Sumani jhodia ,.Chakrapani Parichha, ,Priyabrat Patra, Matrudutta Mohanty, Pramod Pradhan ,Gajanan Mishra, Navajyoti Roy, Prahallad Satapathy , Sanjay Mishra etc have consented to join the event. 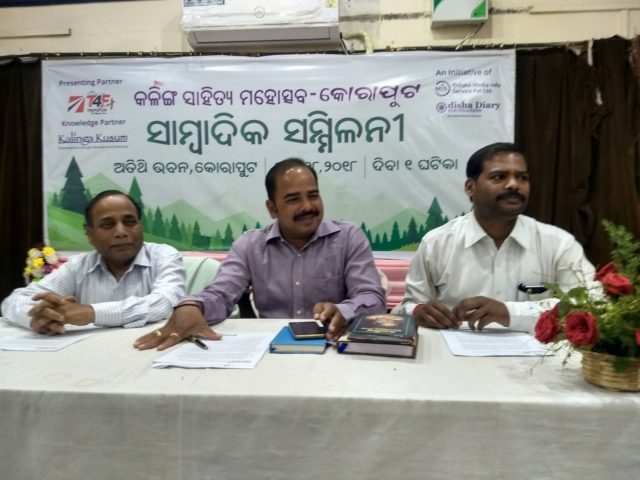 “Kalinga Literary Festival in Koraput will promote all inclusive definition of literature which goes beyond the written text and includes all performances, informal story-telling and folklore,” said Manoranjan Routray, Convener Koraput Literary Festival. On this occasion Koraput Literary Award will be given. Koraput Literary Award is a life time achievement award intended to select a few leading names both at the senior and youth levels who have made inspiring con-tribution to literature. The priority will be given to authors who are from the Koraput Valley and who are work-ing for Koraput Valley. KLF Koraput Sahitya Samman will be conferred on 8 literary personalities from the Koraput valley . They are namely: Krushna Chandra Singh (veteran freedom fighter social worker bhudan karmee) , Er Dasarathi Nanda ( literary critic and essayist) , Narayan Panda (fictionist), Chandrama Balia , Chakrapani Parichha (noted poet), Laxaman Mandra (from Malkangiri research personality for Banda community and language), Mahendra Mishra ( lingustic expert and resource person for tribal language and folklore ), Satyanarayan Gantayat ( literary activist and sattire writer from Rayagada) . “ Kalinga Literary Festival in Koraput is an initiative by Kalinga Literary Festival (KLF) to reach out to differ-ent regions of Odisha in order to get access to life and culture, language and literature, performers and writ-ers. Kalinga Literary Festival in Koraput reaches out to entire Koraput valley and Southern Odisha, the region rich with art, culture, nature and beauty. We bring in our regional and national network to Koraput to acknowledge great work and encourage inspiring contributions and initiatives in the field of literature in its di-versified forms,” said Rashmi Ranjan Parida, Founder of Kalinga Literary Festival. He strongly believes that Koraput Literary Festival will expand the horizon of the KLF and Odisha literary sce-nario by translating the maxim of think global and act local.